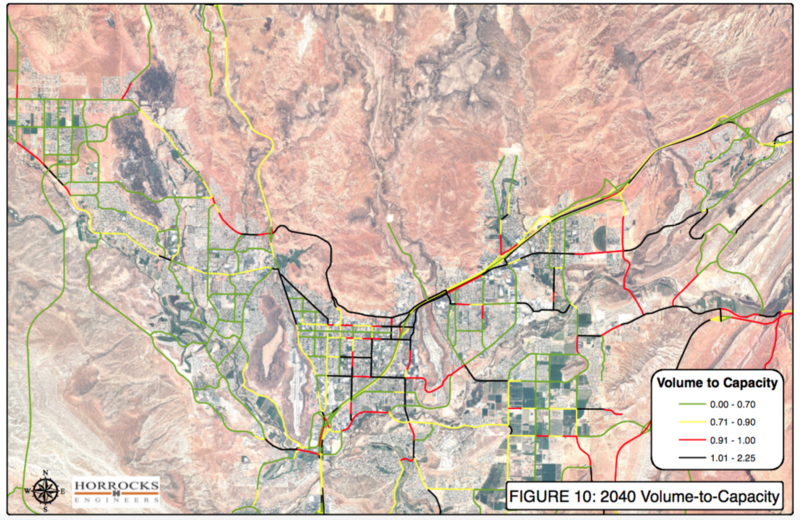 ST. GEORGE – Planners scrambling to meet future transportation needs in Southern Utah say even if the controversial northern corridor is built, congestion is inevitable if growth continues as expected. But the controversial road through protected desert tortoise habitat would prevent some issues. County planners have advocated with the Bureau of Land Management for a northern corridor route, and recently filed an appeal in the matter. 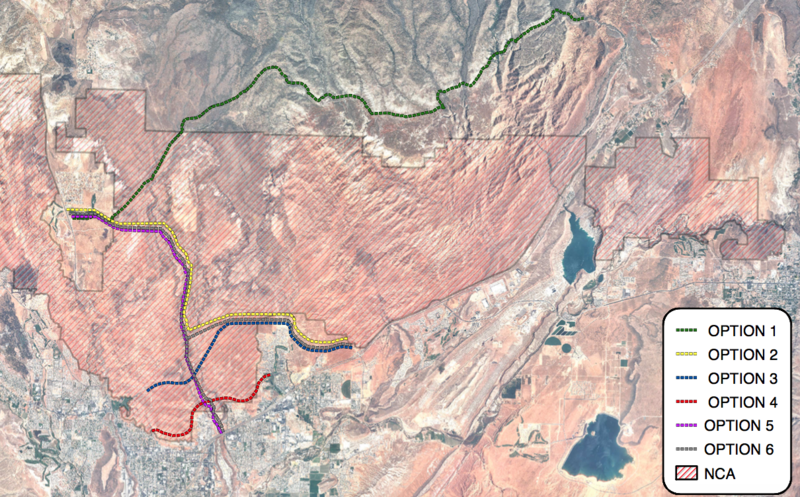 Without a northern corridor, several major intersections in St. George will reach capacity and fail by 2040, Myron Lee, director of the Dixie Metropolitan Planning Organization, said. A road is needed to connect Washington Parkway at Exit 13 on Interstate 15 to Snow Canyon Parkway. However, the planned routes would cut through the Red Cliffs Desert Reserve which was set aside to protect the tortoise. Lee shared the Dixie MPO’s 2011 Washington Parkway Cost/Benefit Study and the preferred route for a northern corridor with the Habitat Conservation Advisory Committee at a regular work meeting Tuesday. The Advisory Committee oversees the well-being of the tortoise and other species as directed in the Habitat Conservation Plan. The plan governs the Red Cliffs Desert Reserve, which includes land owned by Snow Canyon State Park, State Institutional Trust Lands Administration and the Bureau of Land Management as well as some privately owned property. 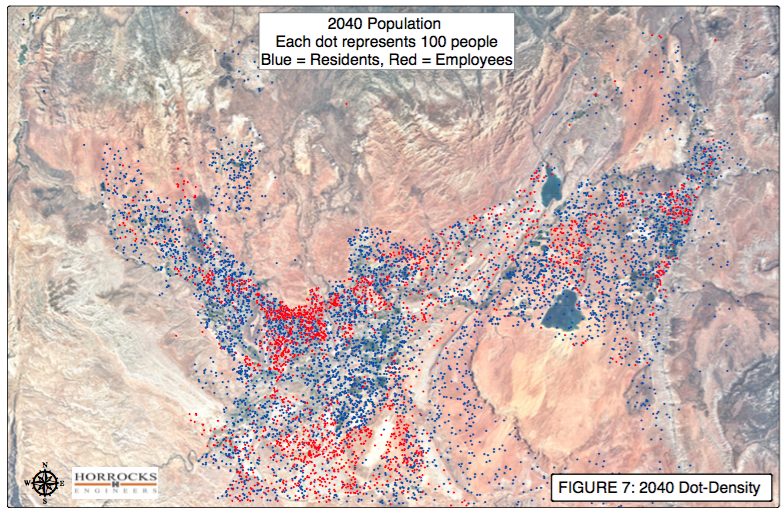 The Governors’s Office of Planning and Budget has predicted that Southern Utah will see an additional 386,000 residents in the next 30 years, Lee said. Dixie MPO looked at four options for a northern corridor, Lee said; option No. 3 offers the greatest cost-benefit ratio. Option No. 3 would run north and west from Exit 13, north of Green Springs, and then head west before dropping southwest to intersect with Red Hills Parkway. It would allow access to state Route 18 and Snow Canyon Parkway and has a potential to tie-in to Cottonwood Road, which is also in the Reserve. “The question comes up; if we don’t have the northern corridor connecting those two points, then where do you put 32,000 to 46,000 vehicles per day? There’s just no place to put them,” Lee said. Option No. 3 would carry up to 46,000 vehicles a day and draw the most traffic from adjacent corridors, Lee said. It would reduce trips on St. George Boulevard, Red Hills Parkway and Red Cliffs Drive by up to 19,000 vehicles a day. Dixie MPO preliminary estimates put the cost of option No. 3 at $56 million. However, Larry Crist, who represents the U.S. Fish and Wildlife Service on the advisory committee, said that estimate is low and mitigation for lost tortoise habitat could increase the cost significantly. Option No. 4 is the next best alternative, Ivins Mayor Chris Hart said. 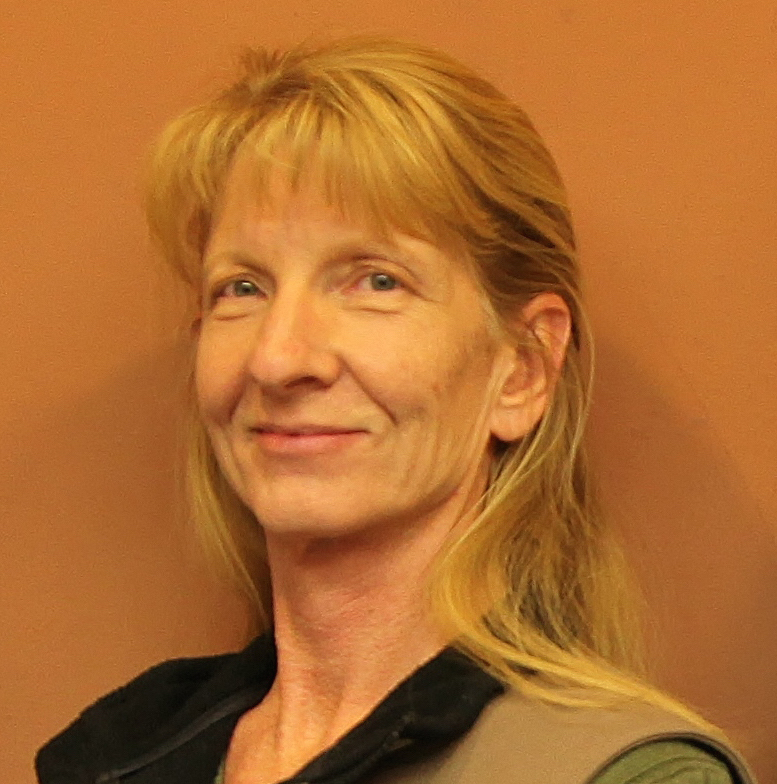 Hart sits on the Dixie Transportation Executive Committee, the governing body of the Dixie Metropolitan Planning Organization. Option No. 4 would extend Skyline Drive east thru the Green Springs Golf Course driving range and tie into Greens Springs Drive. Option No. 4 would cause less habitat fragmentation, HCP director Cameron Rognan told the advisory committee. Any road through the reserve will be a tough sell to biologists overseeing conservation of the desert tortoise and would require mitigation. This would likely include replacement habitat for any land that is destroyed at up to a 5-1 ratio, depending on the quality of the habitat that is lost. It will likely require Congressional action for the northern corridor to become a reality, Washington County Commissioner Dean Cox told the Advisory Committee, and the county is pursuing all options. However, even with the northern corridor and all the other planned transportation improvements, there is no way to avoid congestion in Washington County if the expected growth occurs, Lee said. A more robust transit network. Alternative corridors such as the controversial northern corridor. An emphasis on land-use planning that reduces trip lengths as advocated by Vision Dixie. Dixie MPO’s traffic model is based on annual daily average traffic Monday through Friday, and does not take into account weekends, holidays or major events, Lee said. “So you can have significantly more (traffic) than this on a Presidents Day or Memorial Day holiday,” Lee said. Edit. note: Clarified language regarding management of the Red Cliffs Desert Reserve. How about elevating the road? Woohoo, we’re about to become the next Sandy, UT. No thought given to what makes our city truly unique and how to enhance it, just build, build, build. Option 3 is the only viable solution. Look at it on Google Earth or drive out there. It’s almost entirely sand and sage brush. The 4 options that are further north are pointless as they leave out Ivins, Santa Clara, Sunset Blvd, Green Valley, etc. Who’s going to drive all the way up Highway 18 to The Ledges just to go across to the Green Springs exit? And option 1 is only of value to people going to Cedar City or SLC. People going to the fair grounds, Hurricane, Washington, the Walmart Distribution Center, etc are out of luck. Option 4 would be of limited benefit and goes through the best parts of the preserve. It’s definitely out. The trick with option 3 will be to make it be JUST A ROAD and not allow any development along it. If it’s just a northern corridor, and not a magnet to pull development north, then it will be a success. But if it’s just a road, how will those in charge profiteer off it? So it probably won’t happen. I guess they’ll have to get rich off the southern corridor and Powell pipeline instead. Kind of seems like a, “Well, duhh…” How about giving some serious thought to limiting population growth? Maybe limiting building permits to a manageable number. Congestion could be the least of our worries if development is allowed as fast as they can build houses. I’ve talked to building contractors and they’ve indicated that they would rather have slow steady growth instead of the boom-bust cycles that we’ve seen. I’m all for limiting population growth through zoning laws and limited building permits per year. Petaluma, CA did it in the 70’s and it has been very effective. I’m not at all a fan of the “growth at any cost” mentality that is fully embraced by the Washington County and various cities’ leadership. Slow and stead is healthy. Boom and bust is not. Why is a continued high growth rate always taken as a given? Everyone of these articles and planning meetings always presents the challenge with the assumption that the growth rate is what it is and there is nothing we can do to stop it. It is time for current citizens to get their government to work for them to create the kind of community that we want to live in instead of allowing the developers to call the shots to enrich themselves at everyone else’s expense. The coming potentially huge expense of the Lake Powell Pipeline should motivate us to ask whether we can and should limit growth to a more reasonable rate. Most of Snow Canyon Pkwy was “turtle land’ that the city bioligist said “would never be developed” when we moved into our newly built home in 1997. Amsco Windows owned a good portion of the land directly behind our home but then sold it to Ence. Next thing you know, it’s no longer turtle land and Snow Canyon Pkwy was constructed and Ence developed Sedona Hills PUD.